Design and build a wide variation of FA focused jig devices such as multifunction machine of a welding machines and an automated machines. 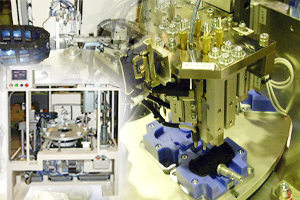 Manufactures, markets and supports resin welding machines such as Impulser welders and flat fusion systems. Innovative, proprietary welding technique supported by deep experience and extensive know-how on plastic moulding. 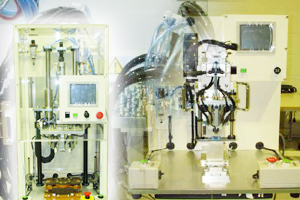 To serve our customer with our proprietary technique, in a larger scale not just vehicle industry alone but even in to fields of electrical machinery and OA machinery, we invented these welding machine systems called "Impulse welder" and "Flat fusion system". 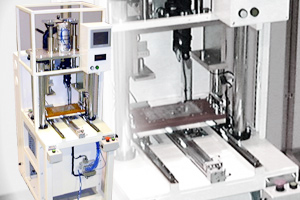 Our flexible, quick responding custom technique and service system supports the customer needs, from quality stabilization, productivity increase, and setting up a mass producing vertical system due to shortening in time-to-market cycle, and such service we do provide are gaining high ratings from our customers. Besides our unique welding stated above, we are equipped with other welding technology based on our proprietary technology, and a wide line-ups of peripheral secondary processing machines, such as after-process machinings, ready and prepared to provide an one stop solution for plastic welding related problems. Manufacture takes place in Thailand. Sales and follow-up services are available in all area in Southeast Asia. The proprietary welding technique (Impulse welder and flat fusion system) owned by Munekata enhance both of your automation and production process. Our Japanese/Thai business and technical staff are prepared for a full-scale support from designing up to follow-up services. We are bonded strongly with our Japanese/Thailand local suppliers whom have a thorough understanding on our welding machine, willing to build good equipment and jigs. We took part in ASSEMBLY & AUTOMATION 2018 ! 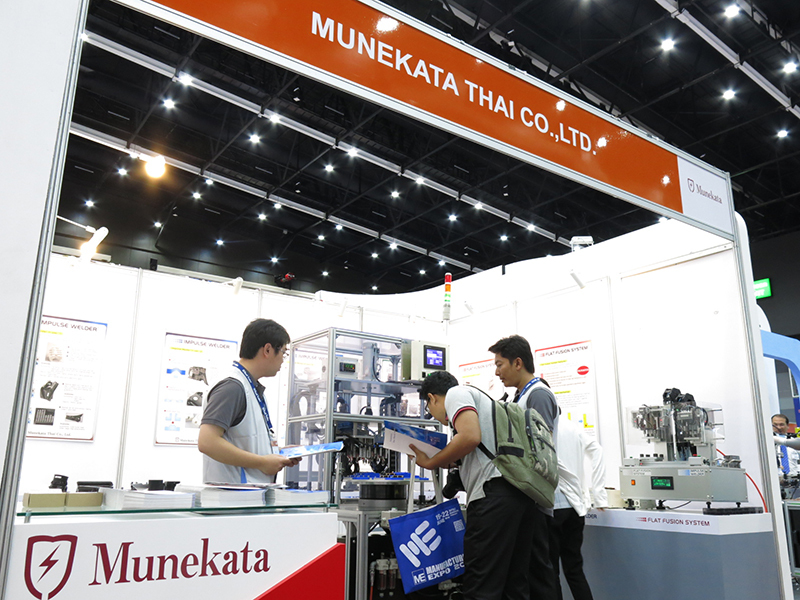 Munekata Thai Co., Ltd. took part as an exhibiting company in MANUFACTURING EXPO 2018, following the previous year. Manufacturing a multifunction machine which is a combination of a welding machine and an automated machine. We design and manufacture based on how our customer desires the product to be used. 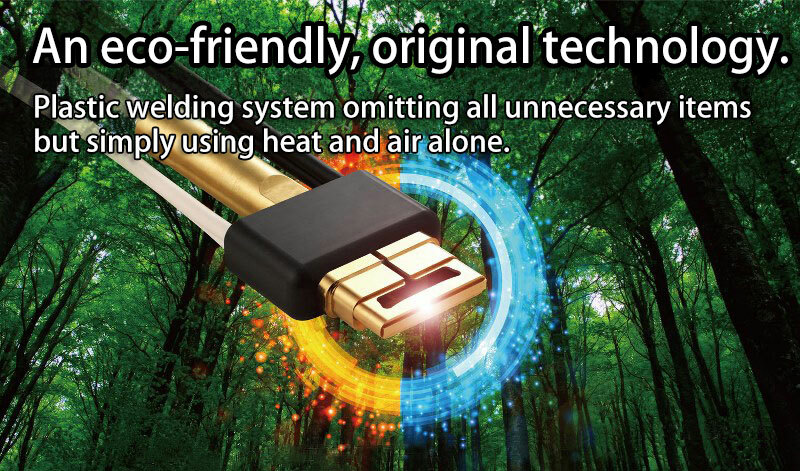 Impulse welder is our patented, energy saving welding machine which stands out in safeness and stable product quality, achieved by using our instant heating and instant cooling method. Flat fusion system is a form of welding where it clamps a heating body between the resin components, generates heat in the heating body through electrification, and welds by pressurizing the resin components once it soften or melt. This process completely seals the welded surface, preventing various problems that used to occur in previous welding.